I’m having so much fun on my Kenwood Disaster Chef journey. 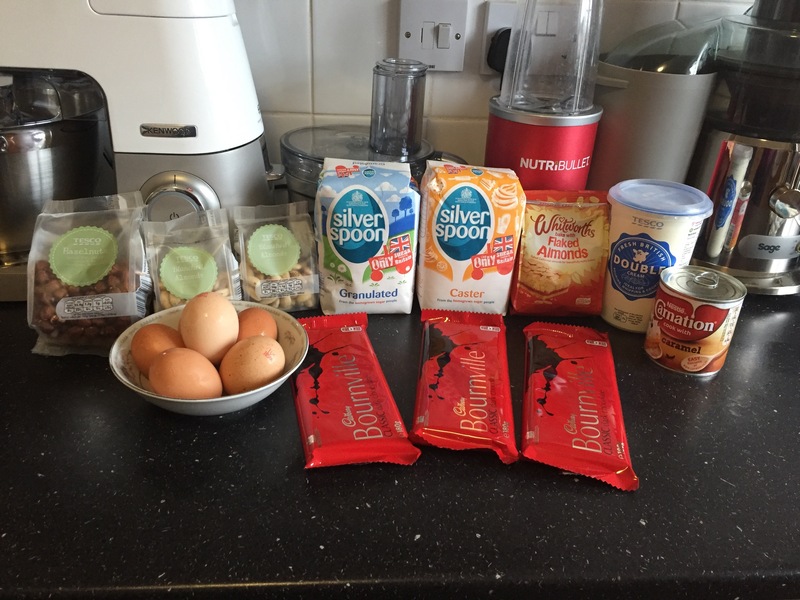 This week’s recipe Chocolate Salted Caramel Meringue Cake looks like a real show stopper and was created by Miranda Gore Browne, Great British Bake Off finalist and cookery writer. After watching Miranda’s video I was eager to start this rather technical challenge and wow my family and friends. I measured out all my ingredients and carefully separated the eggs. I was happy I didn’t get any yolks in my egg whites. I wiped my bowl with the lemon, great tip. Thank you Miranda! 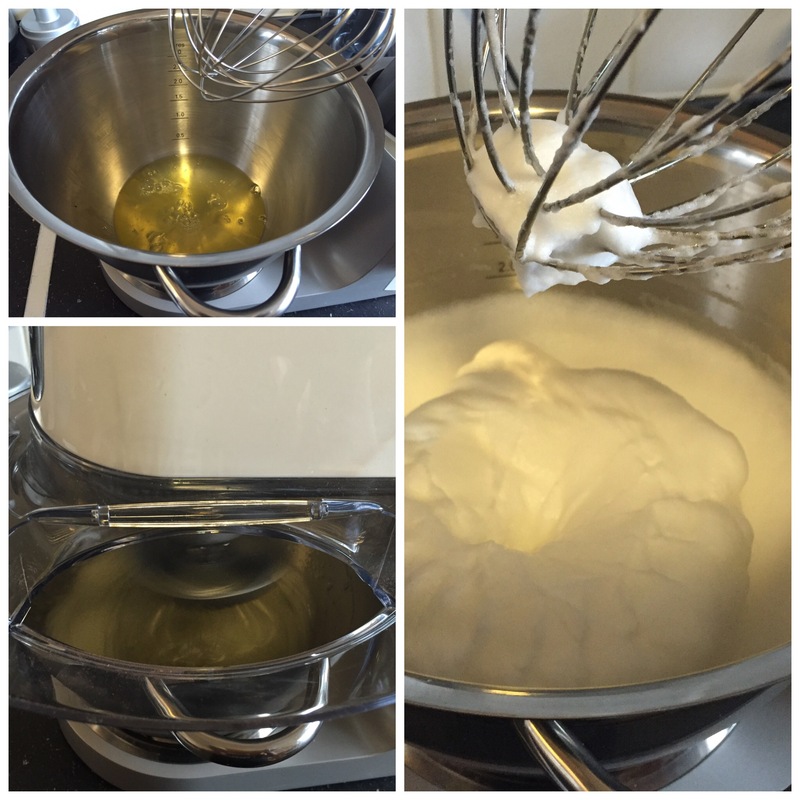 My Kenwood Chef Sense made whisking the egg whites so effortless. Next I added the caster sugar a tablespoon at a time and whisked on high speed until stiff and glossy. 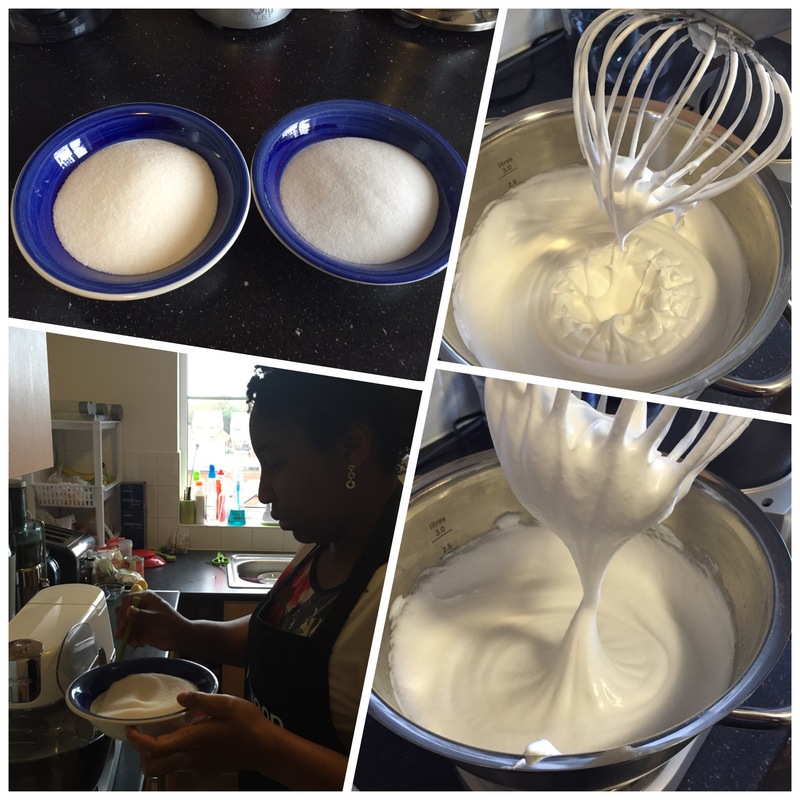 Then reduce the speed and add the granulated sugar a tablespoon at a time until it is well combined and glossy. I lined my baking sheets with baking paper but I didn’t have a 7 or 8 inch cake tin to draw my circles so I used a small plate. 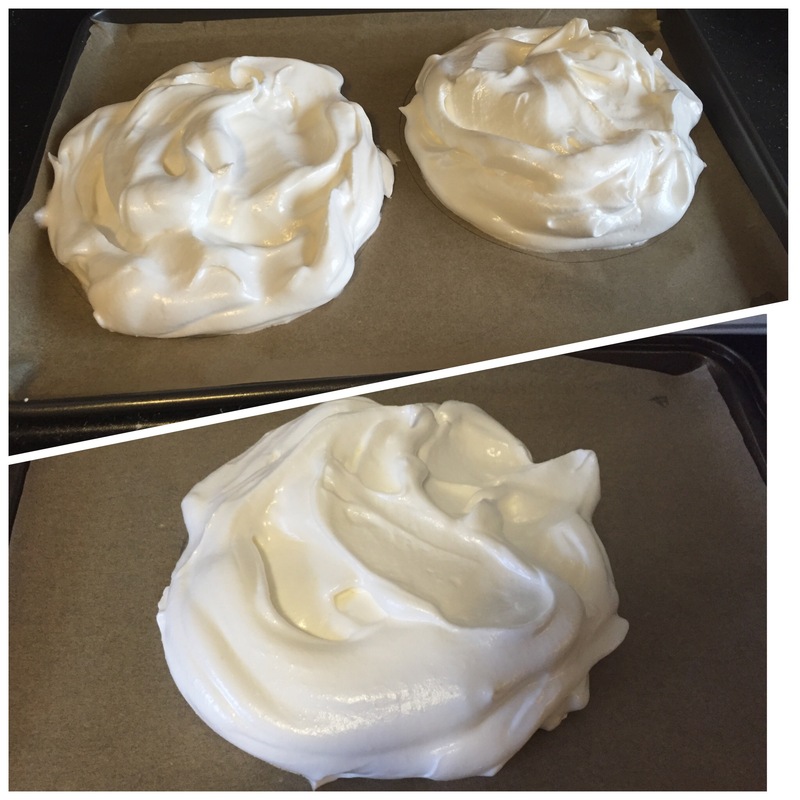 I figured out 120°C was gas mark 1 and popped my meringues into the oven. 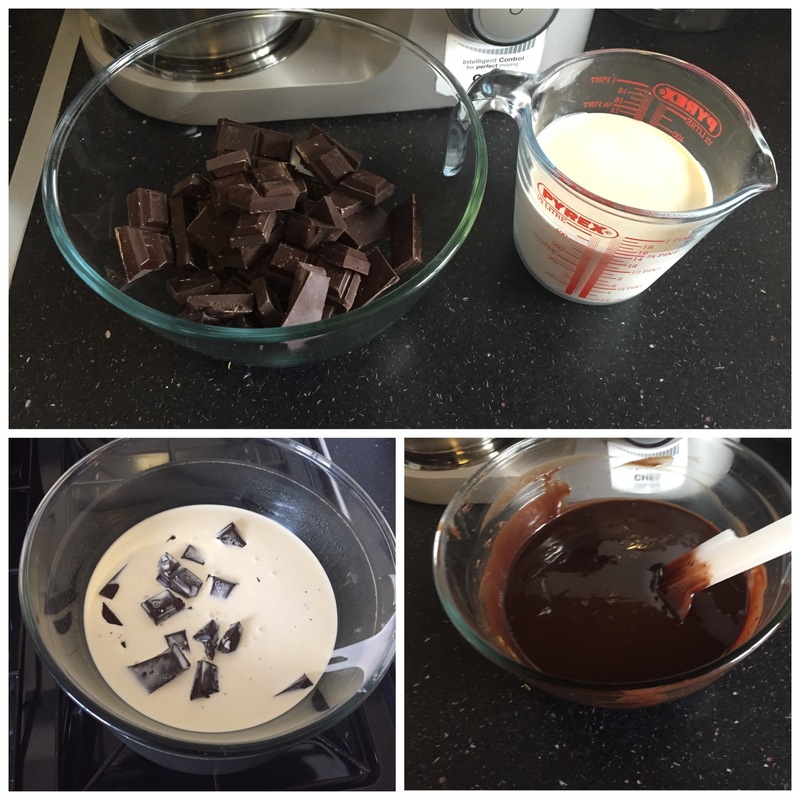 Now onto the making the ganache. After 1 hour I went to turn down my oven to 100° but my oven kept switching off. I carefully turned the dial so the flame didn’t go off again and left the meringue for another 2 hours. I got my meringues out of the oven and they didn’t look anything like Miranda’s. 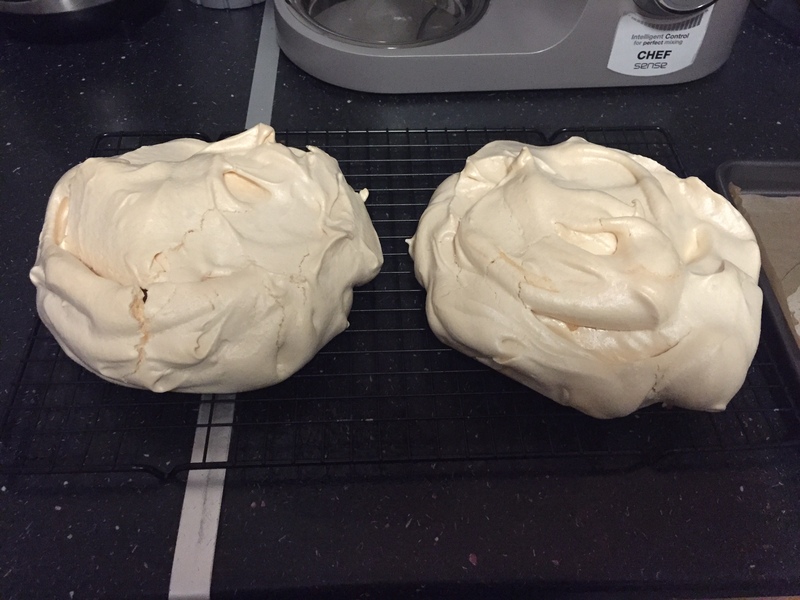 Mine were a bit brown and huge so I think my oven was too hot and I should have spread my meringue more evenly on the tray. Lessons for next time! After dinner my tasting crew were eagerly waiting for my show stopping dessert. I got my salted caramel, toasted nuts and chocolate curls ready. Now onto the assembly, this bit was fun. This challenge was a mission and I was glad when it was all done. 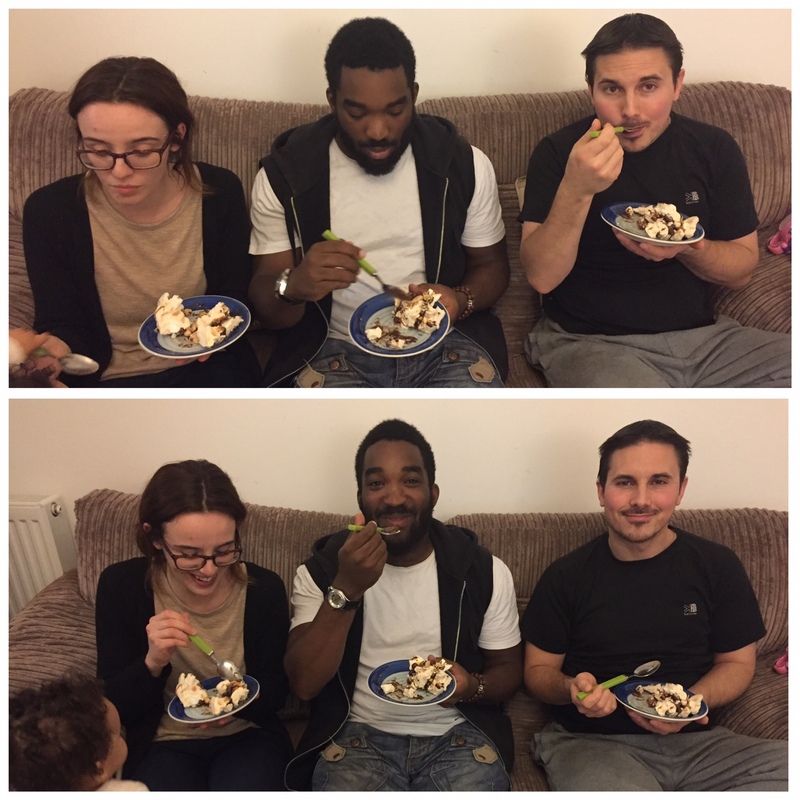 My tasting crew were impressed and we all enjoyed eating it. 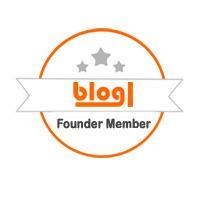 You can check out the Contestant blogs to see how the other contestants are getting on with the challenges. What do you think of this week’s recipe challenge? Please feel free to comment below.